I had the pleasure of meeting writer, Steve Jermanok a couple months back, he was writing a story on what some restaurants are doing to counter the harsh reality of Fish Mislabeling in Boston. At our restaurant 606 Congress in the beautiful Renaissance Boston Waterfront Hotel we have been working harder than I ever have before to make sure that we are serving what we say we are serving, serving the highest quality products in the city of Boston and educating our diners on other fish in the sea. Sourcing direct from fisherman or fish purveyors who have proven capabilities to trace their product is something that has become part of our day to day operations and today I am happy to say that 100% of the proteins being served on our restaurant are not only sustainably sourced, but are locally sourced in New England from producers whom I have had the pleasure of shaking hands with. 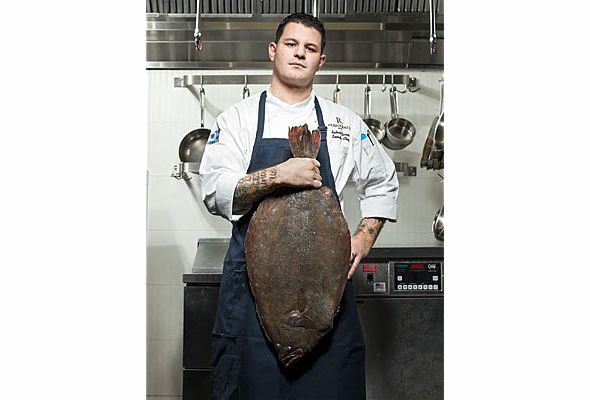 Please take a few minutes to read this fantastic article about our in house developed seafood program and learn about some other popular Boston restaurants who are doing the same thing to ensure we are all providing a platform for a transparent seafood system.